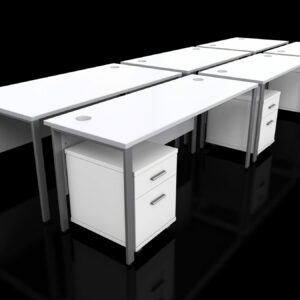 Rapid’s collection of Bench Office Desks is the ideal solution to help increase staff productivity by encouraging a collaborative workplace. 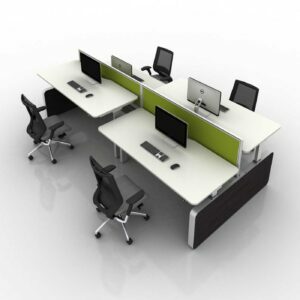 All our bench desks can help give your office space a modern open plan feel. 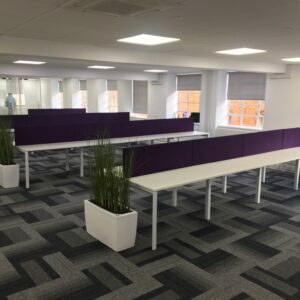 We can also supply a range of desk dividers should you want to keep your office space open with the use of bench desks, but still offer each employee a private area that they can concentrate and get on with their work. Choosing an office desk can be a bit overwhelming. But if you have determined that what you need is a bench desk, you are well on your way to getting the piece of furniture your office needs. However, there still will be a number of things to consider while making your purchase. Though simple, bench desks come in all shapes, sizes, and prices. Quality, function, and style will also play a role as you try to get the right bench desk. 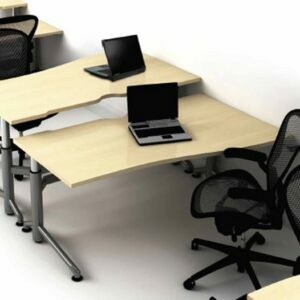 Typically, bench desks feature a simple rectangular design that makes it possible to arrange them in rows. 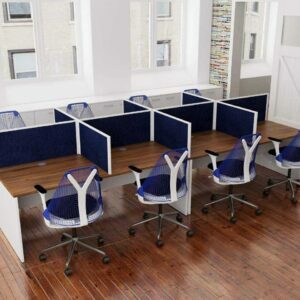 For this reason, they are more ideal for a growing company that might need to expand since the desks can be arranged to work together as one unit as the need for additional desk space emerges. 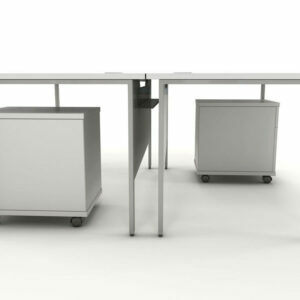 Bench desks are generally smaller, and they are also more appropriate for cases where space efficiency is an issue. Still, they do possess quite a bit of stylistic choices, given the increasingly popular open office design configuration the world has so openly embraced. Benefits of a Bench Desk. The benefits of bench desks are more apparent today than they have ever been in history. 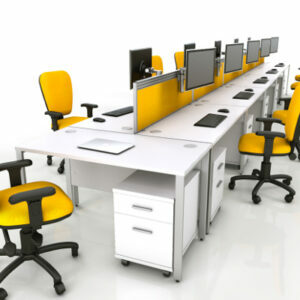 Modern offices do not require as much desk space as they previously did. Technology is more compact, and it has helped replace bulky machines and all the paperwork that piled up on traditional office workstations. 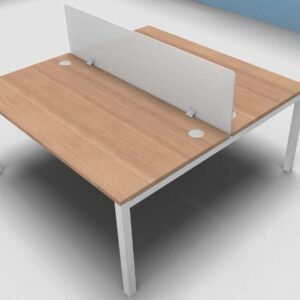 Another reason bench desks are so popular is that they are quite sturdy. Their design might be simplistic, but they are often designed with high quality materials that make them much stronger than many other office desk options. 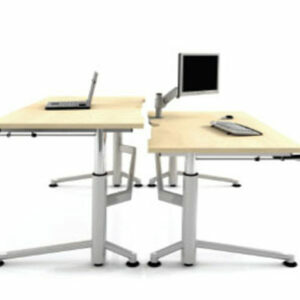 Generally, the desks have a strong metallic base and a sturdy and stylistic top. 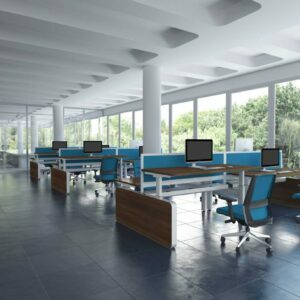 Their understated, yet refined design, makes them more versatile when it comes to making office layout considerations. 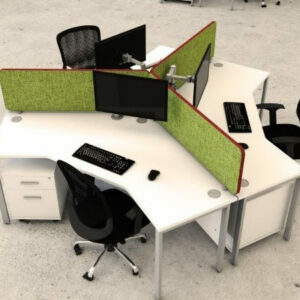 That is why they are so ideal for commercial offices. Reasons to Get Bench Desks. 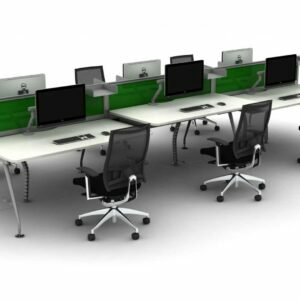 For offices that need space economy, bench desks are the perfect option. It could be argued that they actually provide better air flow since they consist of a base and a top. They also leave a lot of space for other uses, which makes an office seem less crammed than it would otherwise be when filled with regular office. 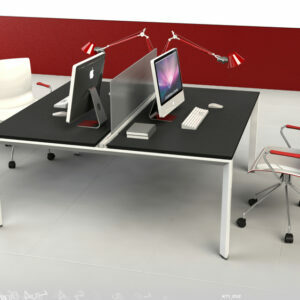 In fact, these pieces of furniture have been shown to improve improve productivity. Their bare design is preferred by many people; and since a better work environment results in increased job satisfaction, such workers are able to deliver greater productivity. Where to Find Great Bench Desks. Even though bench desks stand out for their cost and space efficiency, there are still plenty of fancy options available to those in need of more stylish bench desks. 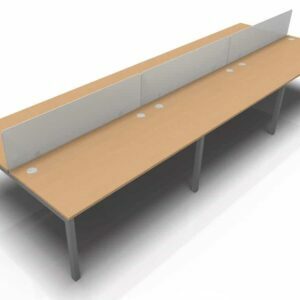 office bench desk are, look through our extensive collection – we believe you will find something that perfectly suits your needs, style and price preferences.